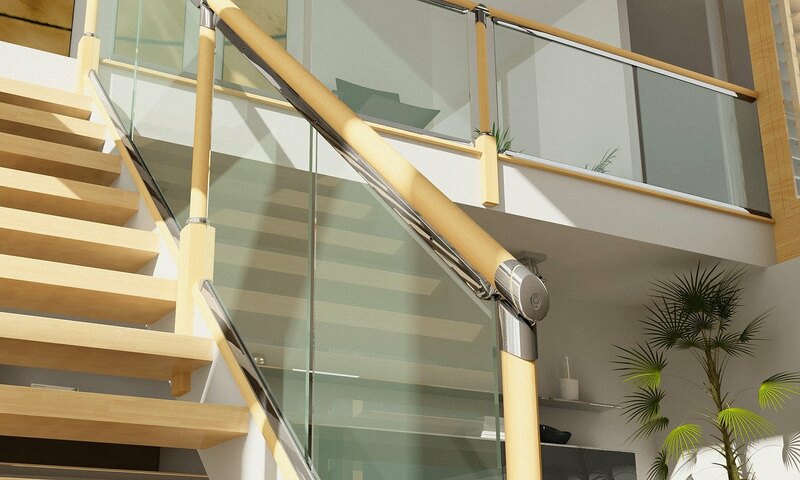 Axxys Clarity Stairparts - Clear Acrylic Stair Balustrade Components. Axxys Clarity Acrylic Balustrade works well with; Axxys Solo Range, Axxys Evolution Range & the Traditional Range Stairparts, as well as the Richard Burbidge Fusion Range. With Axxys Clarity, the Traditional Spindle is replaced with Clear Acrylic Panels, that give an almost catwalk glamour to your staircase, while beautifully engineered components and handrails convey the designer's obsession with quality and style. Brushed Nickel & Chrome End Trims.